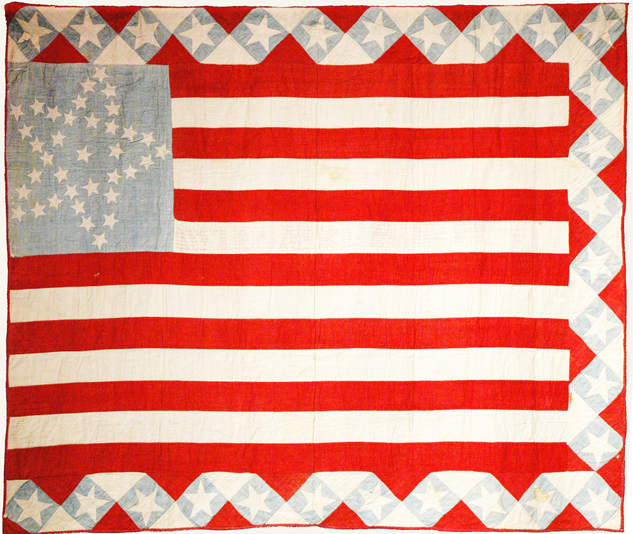 This Illinois quilt is in the collection of the Yakima Valley Museum in Washington. 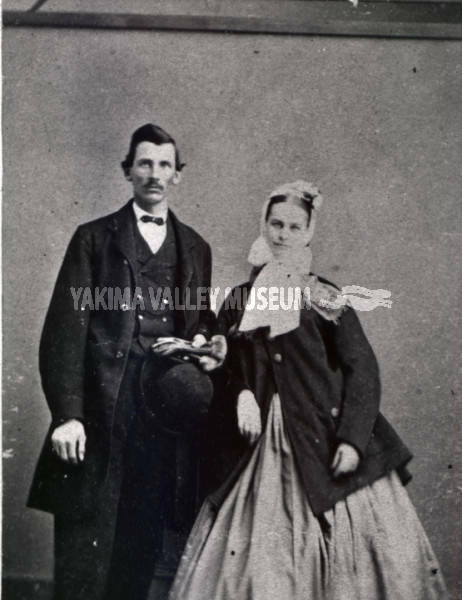 From the Yakima Valley Museum collection. They have a photograph album of the Van Fleet family. Emma Bullock Van Fleet (1845-1886 ) stitched the names of 46 battles that her husband Alfred saw during his two enlistments in Company K of the 8th Illinois Cavalry. 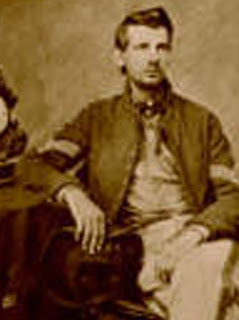 Alfred fought at Gettysburg. "Gettysburg Pa July 1 1863"
Mustered out in St. Louis in 1865, Alfred bought land in De Kalb County, Illinois. 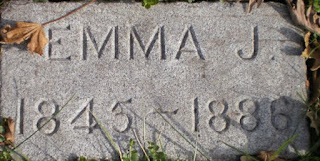 He and Emma married in 1867 and soon moved to Ames, Iowa. 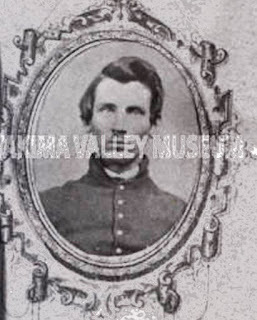 Alfred, a blacksmith's son, took an interest in barbed wire, the innovative fencing material. 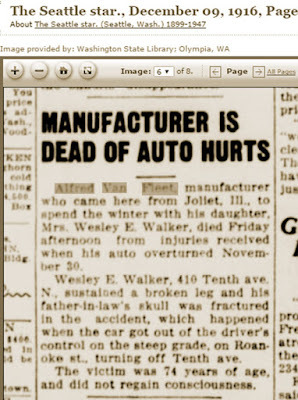 In 1878 the family moved to Joliet, Illinois, the center of barbed wire manufacturing where Alfred invented and built wire machinery. He, his brothers and his son Elon operated several machine shops,building among many other items, gasoline engines. 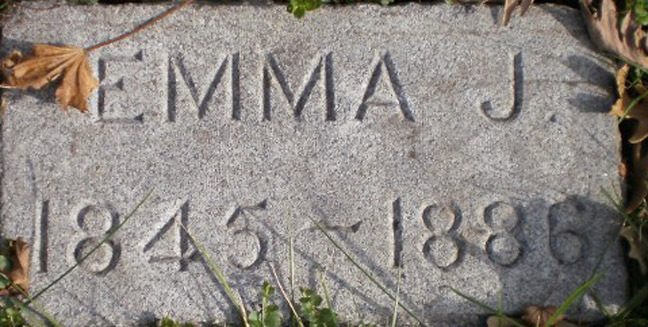 Emma died in 1886 in Joliet at the age of 41. 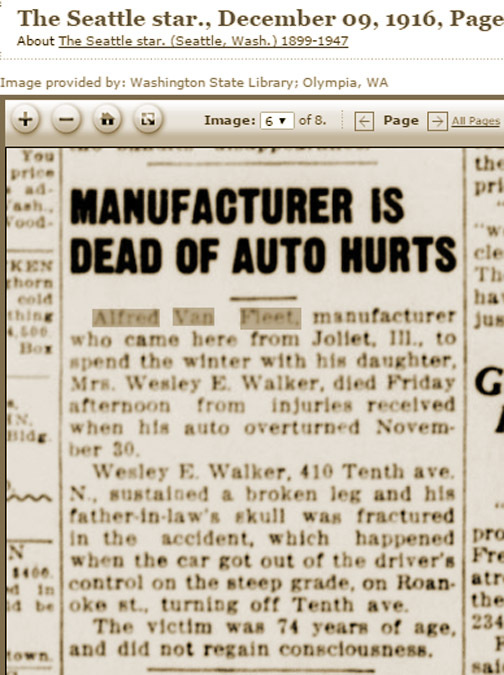 In 1916 Alfred was killed in an automobile accident in Seattle while spending the winter with his daughter Grace Walker and her husband Wesley. 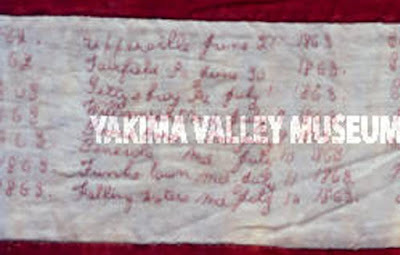 We can guess that Emma's Washington descendants donated her Civil War memorial quilt to the Yakima Valley Museum. 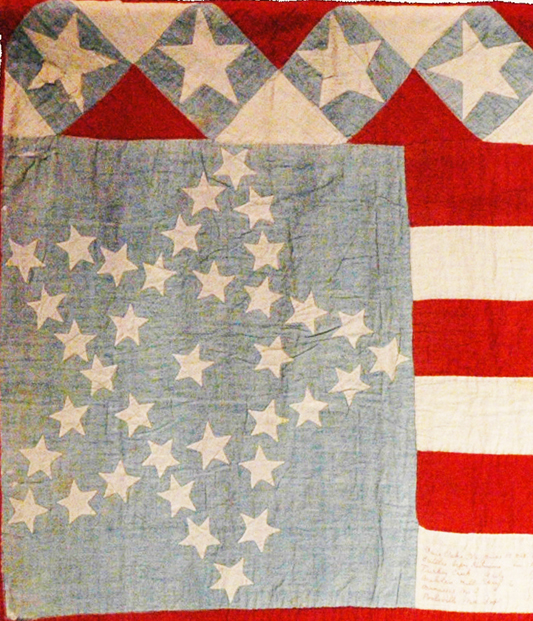 honoring another soldier from the Civil War. 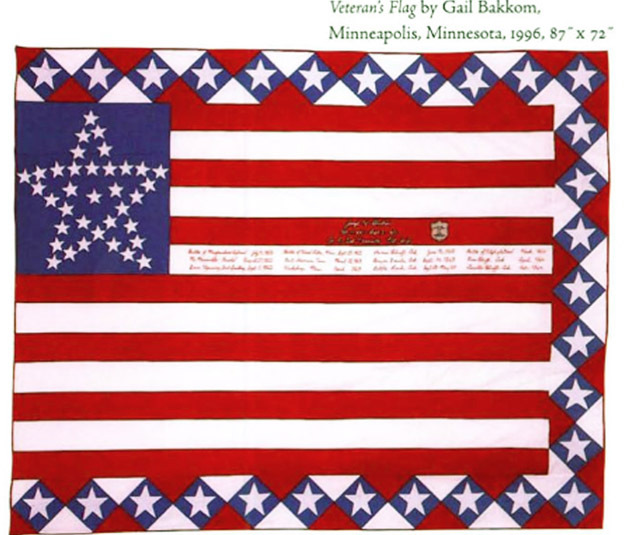 I think we have this feeling that quilters have artistic license to whatever they want with American flag images. I'm glad, this one is so innovative. 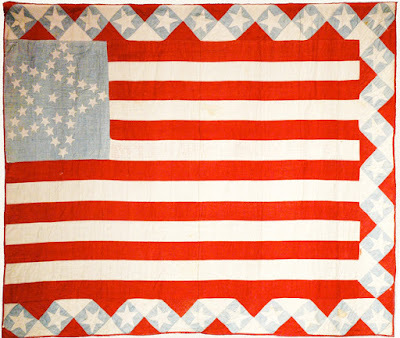 I like the faded-looking, pale blue version more. 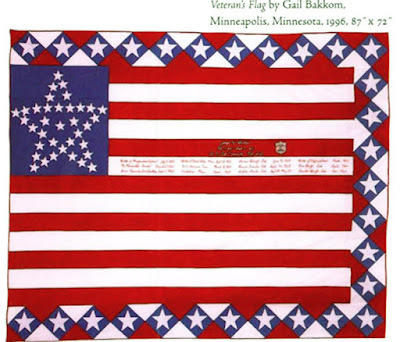 I really like how the star is made out of stars.